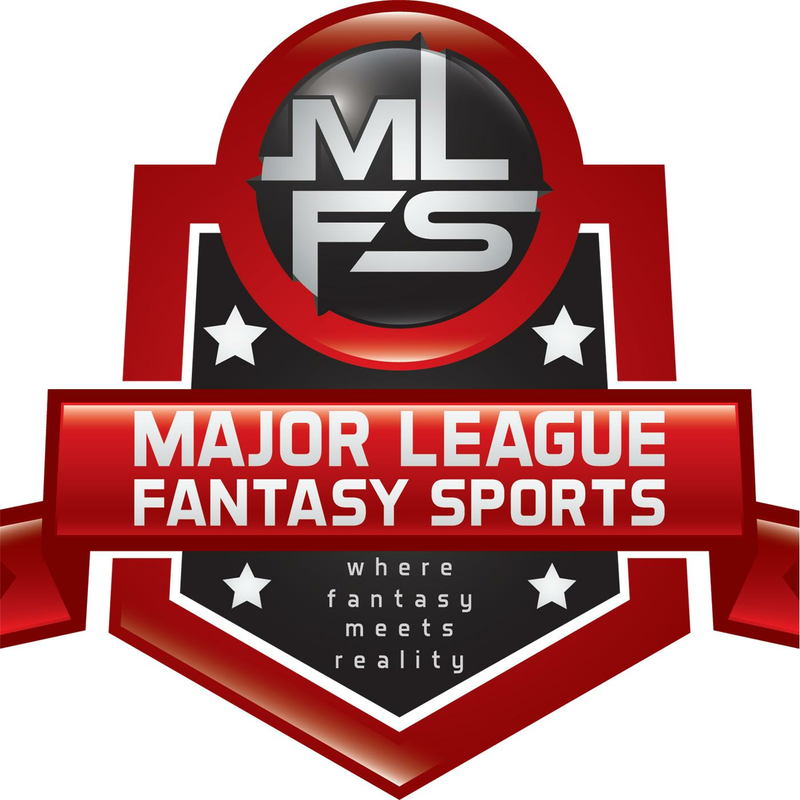 It’s hard to believe that this marks my sixth season writing with Major League Fantasy Sports. We have seen a lot of prospects come and go. Some hit it big in the Majors, some have been a complete bust. The great thing about speculating on prospects is that the very meaning of “prospect” is “possibility.” A player can have all the talent in the world and may never make an impact on Major League Baseball due to injury or inability to adapt. Other guys fly under the radar or become late bloomer as their work ethic raised their natural given ability. It seems that this pre-season more than any other I remember in recent years, the various sites that cover prospects widely vary on their valuation of pitching prospects. I don’t know if this is due to all the various predictive stats and analytics that are now used or if the eye test is becoming more subjective. And I start out with a bang. Most lists I see have Forrest Whitley in the top spot for pitchers. I can’t fault anyone that feels that way, but I have a special affinity for Luzardo. This is a ballsy move as Jesus is not even on the 40 Man roster yet. However, Oakland’s front office hasn’t ruled out him breaking camp in the rotation. Whitley may have slightly better plus pitches, but Luzardo also has four plus or above average pitches and has better command. He comes from the left side, gets strikeouts, doesn’t put guys on base and keeps the ball in the park. He is now two years removed from Tommy John Surgery and seems to have regained full velocity. With the A’s budget constraints, I fully expect him to start in AAA after a rough cup of coffee there at the end of last season. Once they can safely predict this service time won’t be accelerated, he will likely get the call and could settle in as the staff ace by the end of the season. He is a top dynasty asset and worth drafting as a late flier in all leagues if you have the roster space to stash for a month or so. Honestly, I view Whitley as more of a 1b than 2. He could be the main reason that Houston hasn’t been heavily involved in trying to resign Dallas Kuechel. He probably has the best one-two punch of all prospects we’ve seen in some time with a 70-grade fastball and 65-grade changeup. His curveball and slider are above-average pitches as well. I dropped him to number #2 because he is a bit further away due to missing a huge chunk of last year with injuries and a drug suspension. He will likely start out at AA, spend most of the season in AAA working on his command and be ready to hit the Show in late Summer. I could see them taking a Walker Buehler route with him, putting him in the pen during a playoff push and then stretching him out for the rotation in 2020. Either way, Luzardo and Whitley are the only two on this list that grade as #1 starters and are the true cream of the crop. This guy has spent time on the top of prospect lists for several years now. He had a scintillating MLB debut in 2016 and spent two years working his way back to squeeze in 4 innings in St. Louis by the end of 2018. Reyes has a 75 fastball leading his four-pitch mix with an above average changeup and curveball and a league average slider. They still view him as a potential front line starter with this mix but injury history on top of a drug suspension has limited his innings over the last couple years and questions remain if he will ever reach his potential. Despite debuting in 2016, he has not crossed the rookie threshold of 50 career innings pitched and therefore still maintains prospect status. He basically had one start at each level last year and dominated each one. The talent is there, what will STL do with him? I feel he will start in AAA to stay stretched out and he’s the first call up when a starter goes down with an injury. I’m definitely looking to pick him up late in redrafts. I’ve been talking up this guy for the last two off-seasons and he just hasn’t been able to stay on the mound to prove me right. I had a man-crush on him going into last year and he throws out his elbow in training camp. Why do I love him so much? He throws five pitches. Yes, five (5) different pitches. Three of these pitches are considered to be a “plus” pitch including the screwball. When your best pitch is a screwball you have potential to be something special. He had a change last year to break camp in the rotation if it weren’t for the injury. This year he will need to spend most of the season in the minors building up his arm strength but if all goes well, he could be a Tampa “opener” by the end of the Summer. With this in mind, I’m targeting him in dynasty leagues as a potential “buy-low” and I’m staying away in redraft leagues until he appears close to a call-up. Cease is my top choice of this next tier as he is the one I’m most excited about. Another top spec with an early career Tommy John Surgery, but he has overcome and spent 2018 dominating high A and AA. Like Whitley, he has two plus pitches that are a notch above the rest including a 70-grade fastball and 65-grade curveball. He does throw two more pitches but they are considerably behind the big 2 and he still lacks command. Chicago has no reason to rush him, but if he develops his command in AAA during 2019, he should see time in Chicago. Only damage is that his two dominate pitches could suite him to a high-leverage bullpen role at some point in his career. He is a great dynasty asset and waiver-wire watch list material in most leagues. Soroka is one of the talented Braves pitching prospects that are on the cusp of the Majors and the team simply doesn’t have a spot for them. Mike got 11 starts last year over three levels including five in the Majors. His season was derailed by a shoulder injury which helped lead to a trade for Gausman last year and likely leaving him in AAA to start this season. He has three above-average pitches but they all play up due to his exceptional command. He definitely will be a starter and could be up by mid-season if Atlanta has any starters struggle or get injured. His strikeouts won’t be as eye-popping as the guys before him on this list, but all the other ratios will be there. Stop me if you have heard this…injuries derail his early years in pro ball but worked his way back and now on the cusp of the Major Leagues. He has a three-pitch mix featuring a plus fastball, decent curveball, and serviceable changeup. He has the makings of a #3 Starter and could really lengthen this rotation if given the opportunity. Since he is already on the 40 Man roster, Keller is primed for a jump to the Majors this year. The Pirates rotation has room in the back end for someone of his talent. His overall stats weren’t terrific last season so a stint in AAA is likely with a promotion sometime after Super Two threshold has passed. Like Soroka, he is someone you can pass on in redrafts but keep on your waiver-wire radar. Cleveland’s top prospect spent all of 2018 in AA and faired well. He is continuing to develop his plus fastball/curveball combo. His strikeouts were down but the rest of his ratios stayed strong. He has a great approach and great command. He should fill in nicely toward the top of the rotation when guys like Kluber and Bauer move on. Like many of the guys above, he is on a team that has budget concerns and likely will be looking to preserve club control. He should spend most of the season in AAA with a possible call-up toward the end of the season. Michael Kopech and AJ Puk would likely be in the Majors now if they weren’t recovering from recent Tommy John Surgery. They both have enough polish and talent that they should be ready to roll in 2020 once they get some innings under their belt. They are future strikeout kings with Kopech possessing an 80-grade fastball. The recent Marlins acquisition, Sixto Sanchez, should also be in this mix with a deadly fastball accompanied by great command for a 20-year-old. He still is a bit raw as he has had limited innings and fought injuries throughout his young pro career. Ian Anderson is considered by many to be the Braves top pitching prospect. He is another high strikeout guy with decent command. The Braves are stacked with pitching specs and I don’t understand why they didn’t use this source of strength to improve their club to compete this year. They had the goods to get JT Realmuto, they just wanted to keep all their assets which couldn’t all possibly pitch in Atlanta. Casey Mize was just drafted #1 overall this past year and shot up the rankings as Detroit’s top prospect. He ended 2018 in A+ so we won’t see him this year. He has three plus pitches including a plus-plus splitter and plus command. He should move easily through the minors and should be the #1 pitching prospect entering 2020. MacKenzie Gore is the youngster on this list but should be the Top Lefty heading into 2020 after Luzardo graduates from this list. Gore had one of the best high school careers of all time. He’s still raw at this point at 19 and his first taste of pro ball was just ok. I expect a huge jump this year but San Diego will likely hold him back until at least 2021. Finally, Brendan McKay is not only a top pitching prospect but also a 1B prospect. Tampa has gone on record saying they plan to develop him as a two-way player, but I’m not sure that is necessary. His four-pitch mix and plus control has him developing nicely on the mound but he has not been as successful with the bat. He does have good plate discipline and draws walks but he has not hit or shown any power. The emergence of Nate Lowe last year eliminates the need for McKay to be their future 1B. If the bat comes around, he might get some at-bats as a PH or DH but his future is as a Starting Pitcher. If Tampa can add McKay and Honeywell to the likes of Snell, Glasnow and Morton, we might not need to see the “opener” strategy in 2020 with a stacked rotation. All these guys are should be on your radar for keeper leagues but likely won’t have any impact in 2019. Next week we have Part 2 as we look at #16 – 30. Justus Sheffield is pretty good. Would he have been number 16? I don’t have him at 16 but he’s firmly in the top 20. Check in next Thursday for the unveiling of #16-30.